The only Alfa Romeo 6C 3000 CM (Competizione Maggiorata) Pininfarina Superflow IV ever made will be shown for the very first time in the UK at Salon Privé during the Chubb Insurance Concours d’Elégance. Obtained by leading Italian design house Pininfarina, who evolved four prototype designs, ending with this incredible Superflow IV, it’ll fight fierce competition in the Curvaceous Coupes class. Famously picking up silverware with Juan Manuel Fangio driving the 1953 Mille Miglia, the Alfa Romeo 6C 3000 CM Colli Coupe was a car built for endurance racing. 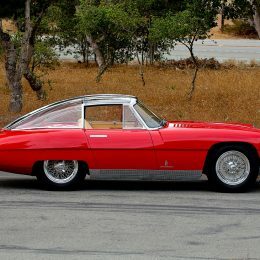 Just eight Works examples were made in 1953, two of which were handed to specialist coachbuilders Boano (for Argentine President Juan Peron) and Pininfarina and both converted for road use. Regarded as the most famous of the pair, the vehicle on display during the prestigious Chubb Insurance Concours d’Elégance is the 6C 3000 CM (chassis 00128) that went to Pininfarina. 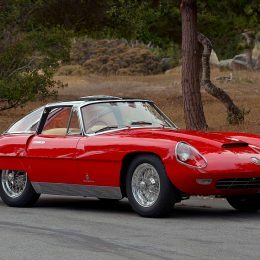 During its time at the Italian-based coachbuilder it was given four different design adaptations, culminating in its current guise, known as the Superflow IV. 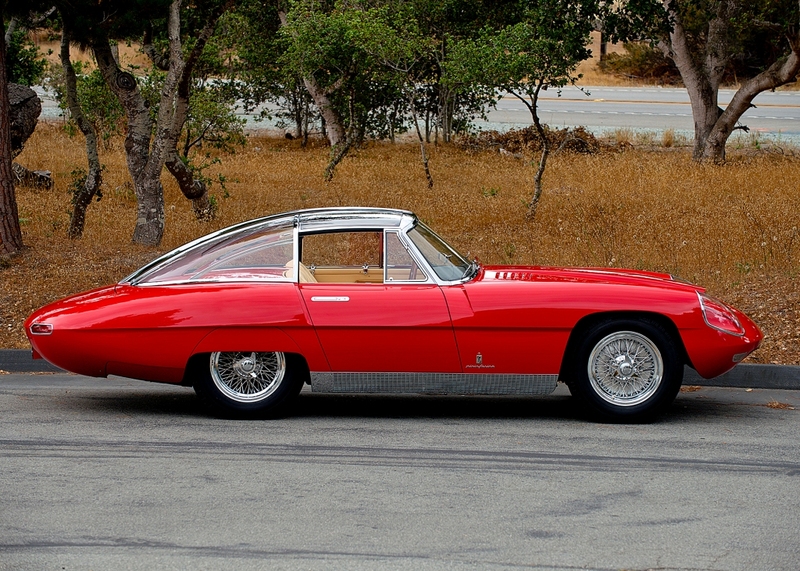 The first iteration, known as the Superflow, was launched at the 1956 Turin Motor Show. Plexiglass was a fundamental part of the car’s original design and overall appearance: the front wheels were covered in the material, doubling up as headlight covers, and the hinged ‘gullwing’ sections on the roof were also made from Plexiglass. Evolving to Superflow II and repainted from its original colour of white with a black stripe to striking red with a white stripe, Pininfarina’s styling evolved to include a sharper nose made from steel and all Plexiglass apart from the headlight covers, which were removed. In 1959 at the Geneva Motor Show, the third design was shown and dubbed the Spyder Super Sport or Superflow III. It featured an open roof, but without the original nose and the headlight covers, which were removed. Fast forward to 1960, the car’s fourth and final design was displayed at the 1960 Geneva Motor Show. 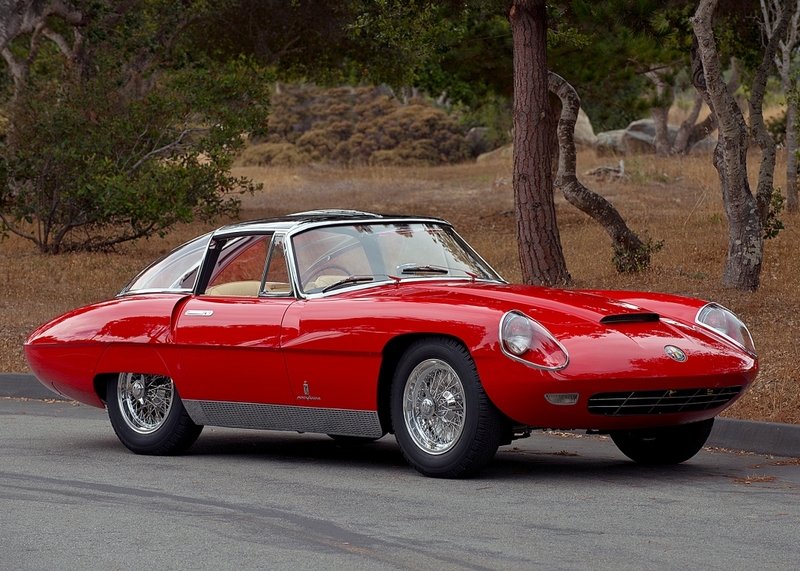 The Coupe Super Sport Speciale or Superflow IV was an amalgamation of all the best features of its previous versions. Returning for the Superflow IV was the striking use of Plexiglass, this time on the domed roof as well as the headlight covers. The car could be used as a Coupe and a Spyder, thanks to the fact that the panels were not hinged but could slide down and back underneath the rear window. The car’s story is a timeline of design and influences of the Fifties and Sixties; it’s clear to see that it was built to wow the public at each event and location it visited. Set to stun the judges, this unique Concours star will be making a special pilgrimage to lawns of Blenheim Palace from a significant collection in the United States. On display during Salon Privé on Thursday 31st during the Chubb Insurance-sponsored Concours d’Elégance and remaining on the prestigious lawns of Blenheim Palace during Boodles Ladies’ Day on Friday 1st September, Salon Privé is the very first event in the UK that this special car will be on public display. “For Salon Privé to be chosen as the first Concours event in the UK for this illustrious and influential car to be shown is a huge honour. One of the most important Alfa Romeos of its era, and a large part of the marque and Pininfarina’s history, I am sure that it will attract the attention of enthusiasts from all over the world.” said Salon Privé Managing Director & Concours Chairman, Andrew Bagley.